We hope our history mugs encourage learning. 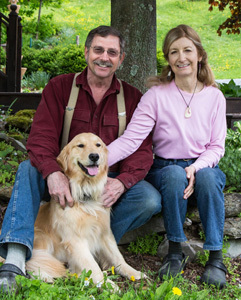 Most of our biographies focus on individuals who played a significant role in history. New biographies are added frequently due to requests from individuals and museums, as well as our personal interest in various topics. While the majority of our biographies have focused on politics and US history, we are developing biographies on scientists, authors, and leaders of social & civil rights causes. 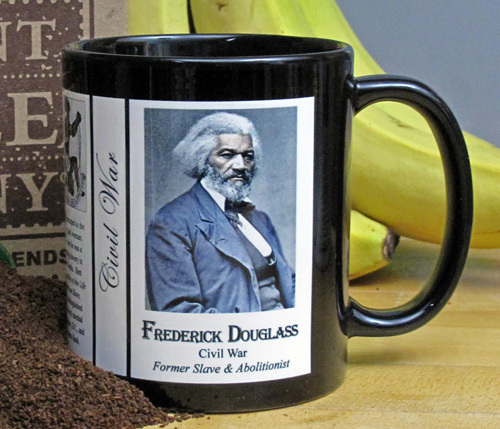 History Mugs are the perfect gift for those who love learning about our country’s rich and storied past. Our relatives who fought in many Civil War battles over their years as soldiers stimulated our interest in studying the Civil War. Our series covers all aspects of the conflict, from Abolitionists to Union and Confederate soldiers and Union and Confederate politicians and civilians. It is hard not to notice that photography played a major role in the coverage of the Civil War. While the photographs taken in the 1860's were black & white or sepia tone, we have turned them into color pictures, which brings these interesting individuals back to life. 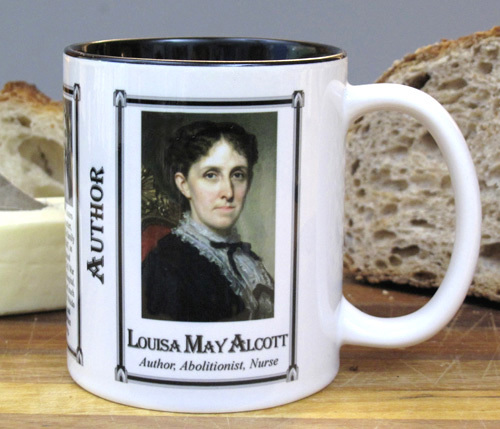 The Louisa May Alcott mug is an example of our white mug with a glossy black interior. We feel the black interior showcases the content and graphics giving the mug its distinctive look. 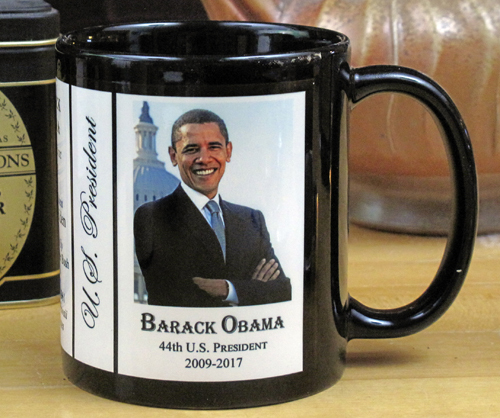 The all-black mug draws your eye to the image and description in the three panels on the mug. We also offer an all-white mug. 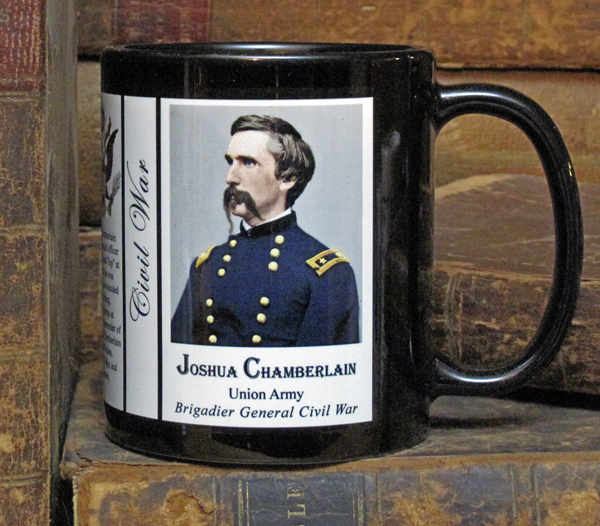 Our history mugs are available in two sizes, the small mugs hold 11 ounces and the large mugs hold 15 ounces. The three styles that can be purchased are a white mug with a white interior, a white mug with black interior, and an all-black mug. 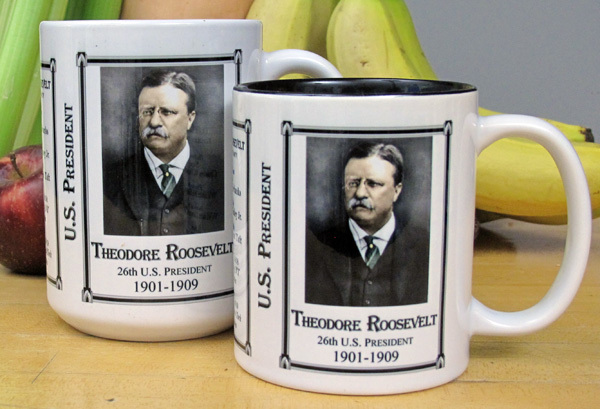 The Theodore Roosevelt mug in the image foreground is 11 oz. the mug behind is a 15 oz. size. We have a New Biographies page with links to the most recent additions in our biographical mug library. A new All Biographies page has been added to our website, where you can look up individuals by name. You can also search our site with the search feature at the top of every page. Our History Mug Site Map gives you a quick way to sort through the over 60 historic topics we cover in our historical biographies. Pejepscot Historical Society, Brunswick, ME, home of the Joshua L. Chamberlain Museum. Washington Crossing Historic Park, Washington Crossing, PA. The Fairbanks House Museum, Dedham, MA. The National Underground Railroad & Freedom Center, Cincinnati, OH. The Ethan Allen Homestead Museum, Burlington, VT.
To see Robert's handmade work & Christine’s weaving visit their Robert Compton Pottery website. 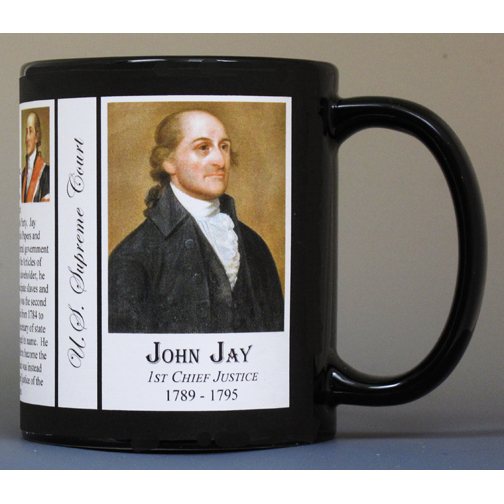 In the US Government category of our site, there are mugs representing presidents, representatives, and senators along with justices of the Supreme Court. Most presidents served in Congress or as vice presidents before taking on the highest office in the U.S. government. Every vice president is represented with their own biographies as well as members of Congress. We added all of the First Ladies who have served admirably in the White House. It is worth noting that not all First Ladies were wives of the US president. The death of a wife or a bachelor president did not have a wife who could fill the role. These individuals who filled the role could be a friend, niece or daughter-in-law of a serving president. Researching family genealogy is a fascinating and entertaining activity. Many people store their collected family stories in books or online in digital form. 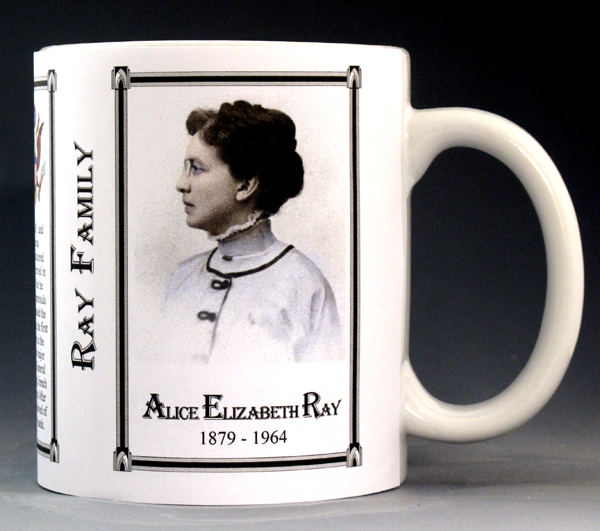 We encourage you to celebrate the unique members of your family by putting their pictures and stories on custom history mugs. Give us a photo, a brief biography, and list the descendants in a lineage panel, to show how they are related to you, your parents and siblings. See samples on our Genealogy page, we have many different styles of mugs you can look through to see the varied approach of our clients. We are happy to work with you to produce the best possible result. We have created numerous Custom history mugs and have a wealth of experience to draw from in helping you create the perfect mug. We continue to add new topics and seek out images and stories of noteworthy historical figures. Each of these individuals led an amazing life and made major contributions to the United States. With such interesting people, it is difficult to limit the story of their lives on the small biographical panel on these mugs. We would love to hear from other history buffs about individuals they would like to see added to this collection. 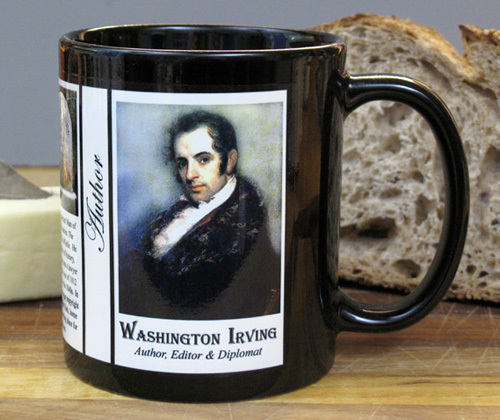 You can see a Complete List of all of our biographical mugs.